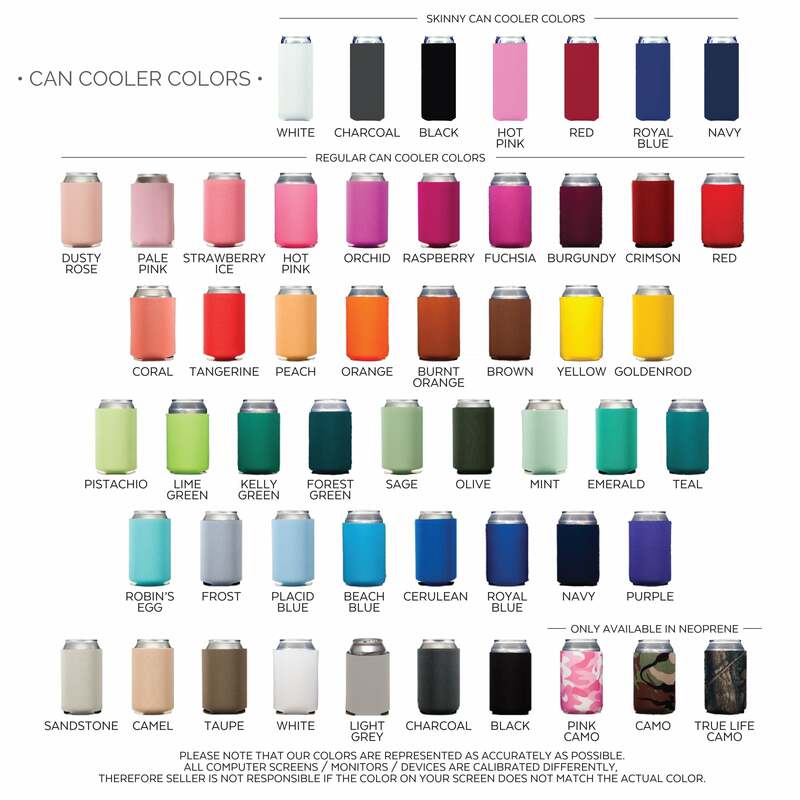 Show of your trendy sense of style with our Custom Contemporary Monogram Can Cooler. These custom printed collapsible coolies are a treasured personalized favor for weddings, engagement parties, rehearsal dinners, bridal shower and more! Anywhere you're wanting to serve up drinks with a sleek touch of personalization! Each is custom printed with last name, couples name and event date in a sophisticated design. Cheers to the young and happy couple!